If you have not witnessed Gilad Atzmon in action before then you have yet to witness a force of nature! 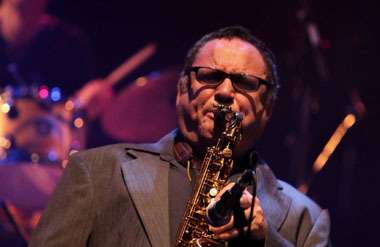 Atzmon is a multi-instrumentalist on saxophones, clarinet and ethnic woodwind instruments, as well as accordion and practically any other bit of kit he can get his hands on. A larger than life character with a seemingly abundant store of energy, he not only tours constantly with his Orient House Ensemble band but has worked in many other projects including The Blockheads, Pink Floyd, Paul McCartney and Robert Wyatt. In 2000 Gilad founded the Orient House Ensemble and started re-defining his own roots in the light of his emerging ethical awareness. Over the years Gilad's music has moved increasingly toward a cultural hybrid. As bandleader and reed player he has been amazing his listeners with his powerful personal style that combines great bebop artistry and Middle-Eastern roots in a sophisticated, sometimes ironical manner. Influenced by Coltrane’s powerful approach on the sax, Gilad's live performances are simply breathtaking and overwhelming. In 2007 Gilad extended his role as a Producer, working with outstanding singer-songwriter Sarah Gillespie to produce her debut album released in September 2009. In 2008-9, Gilad also produced the Brazilian percussion star Adriano Adewale, the multi-ethnic Irish band Yurodny and is currently producing the UK legendary bass player Norman Watt-Roy’s debut album. In 2010 Gilad produced The Ghosts Within with Robert Wyatt and Ros Stephen. Tonight, Gilad will be accompanied by the Bristol based Jim Blomfield on piano. 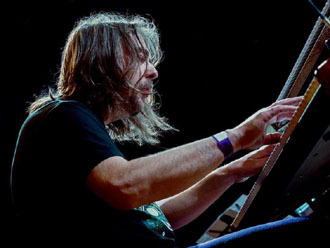 Jim has been at the forefront of many impressive jazz projects locally and is a fine soloist and composer, evident on his recent second trio album release. His recent performance at Bristol Jazz Festival showed he continues to develop. His latest work exhibiting new depths of texture and incredibly good use of space in his music; creating engaging nuances that matches the best of new wave trio work from Scandinavia and the States. A pianist of great talent and touch, he is also a master of Latin styles on piano. Will Harris provides the double bass sounds and the stellar Dave Smith is on drums. 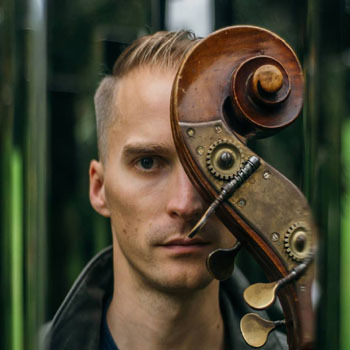 Will’s dynamic and comprehensive approach to the double bass has put him in high demand as a musician in the South-West. 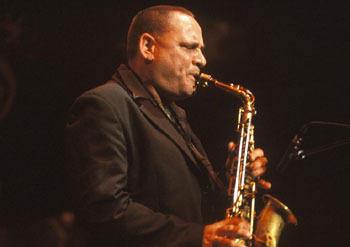 He is a regular member of Andy Hague quartet, Kevin Figes quartet, Michelson Morley (alongside Get The Blessing tenor saxophonist; Jake McMurchie), Karen Street’s Streetworks (alongside Mike Outram) and the Colman Brothers. Will has also shared the stage with the likes of Bobby Wellins, Alan Barnes, David Newton, Simon Spillett, Tina May, Anita Wardell, Damon Brown, Ed Jones and LA-based tenorist Benn Clatworthy. Dave Smith is one of the most in demand drummers on the British alternative/improv music scene. 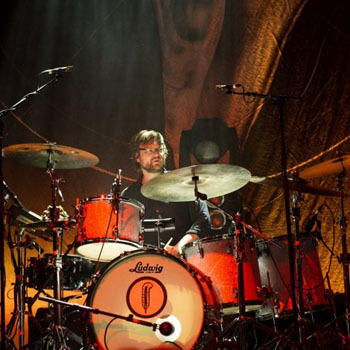 He currently holds the drum chair in Robert Plant’s (the legendary Led Zeppelin lead singer) solo project, as well as the Cloudmakers Trio. Drawing on a wide range of influences, from West African percussion to jazz drumming, his explosive style and musical sensitivity give him the versatility to play in many musical environments. Dave also performs and recorded with award winning world music outfit Juju (Justin Adams and Juldeh Camara) Loose Tubes’ Mark Lockheart Quintet, Donny McCaslin (USA) Eddie Henderson (USA) and Ingrid Jenson (USA) amongst others.